Experience the alchemy as we gather under Luna’s light. 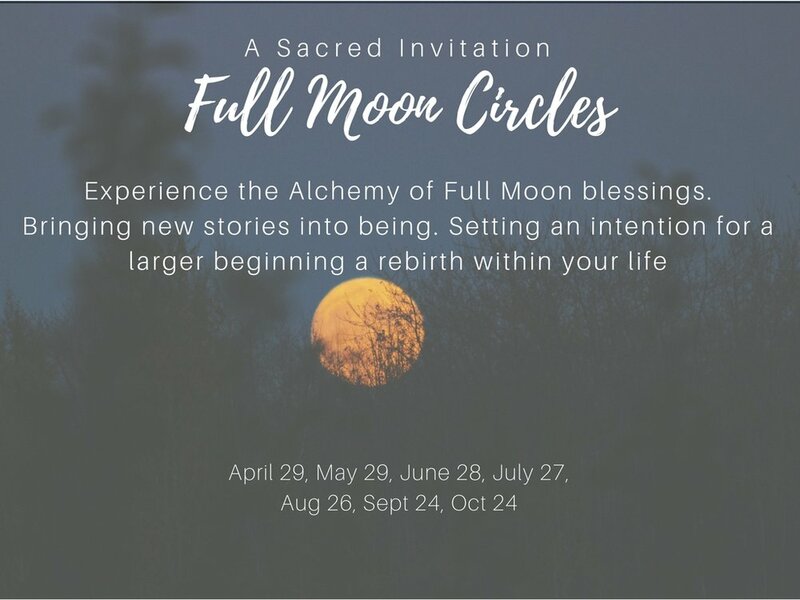 Full Moon Healing Meditations and Circles with Intention, Guided Meditation, Ancient Aromas, Grounding Movement, Moon & Seasonal Lore, Creative Journaling. 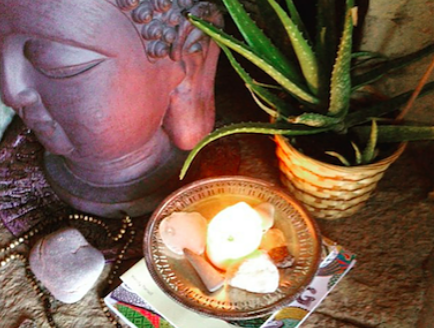 A safe Sacred Space calling forth healing energy and attunement. Soaking in beauty of full moon energies as she guides us to shift mind, body, and soul. Our circles are not associated with a singular path or religion, you are invited to join us in an inclusive coming together with women of all paths. Together we embrace all spiritual/cultural backgrounds and honor one another. With each gathering as we come together we open with offerings of gratitude to Lunnas light and all she is about to give. Ancient aromas of essential oils bring us to a place of centre and grounding. As each participant embraces their crystal, enhancing our experience of the evening we move into a meditation offering opening, clearing, releasing, and inviting. Having gained clarity and calm, intentions are set, released and shared. A fire ceremony allowing for what no longer serves to physically burn away and dissolve will bring us to our final component of the evening. Illumination: What is asking to be clearly seen? Release: What is asking to be released? Transformation: What is asking me to welcome it into becoming? Jupiter is a planet that expands all, for better or for worse. Holding a flashlight directly upon what is been called to be seen we have the opportunity to unearth, am I in alignment? July 10th this period will come to a close. Together during each Full Moon circle in April, May and June we will focus on opening, clear seeing and alignment. Jade — Used to balance. Each participant will be gifted a jade stone. Jade promotes emotional and physical healing of the heart’s ills. Heart Opening Meditation - Inviting energy flow into the heart centre, experiencing an expansion within. Releasing old energies being held which are causing imbalance and discomfort. As you feel the heart centre expand you will simultaneously feel the shoulder blades release as the old energies float away. Amethyst — Used to open, stimulate, and balance. Each participant will be gifted a Amethyst stone. Amethyst is a healing stone that offers wisdom, healing, and protection from harm. Turquoise— Used to stimulate and balance. Each participant will be gifted a Turquoise stone. This sacred stone dispels negativity and restores confidence to speak and express one’s thoughts effectively. Throat Chakra Meditation - Realigning with your truth, calling forth ease and grace in speaking clearly, effectively and compassionately. An opportunity to lean in and inquire - how may I live my truth more fully. As our gatherings are sacred and intimate you are required to pre-register. Simply submit the form below. Please register me for the following dates. Feb 23-Mar 2, 2019 and/or Mar 10-Mar 17, 2019. 7 days resting in the solitude of self. Wrapping yourself in a tapestry rich in the diverse Balinese culture allows you to drop out of the mind and into the heart. As the week moves forward you will find yourself rooting deeper and deeper into the self. Experience standing in the here and now, deepening your connection to the present moment, in a way only Bali can offer. An unforgettable experience, allowing you enrich your life stepping into your own empowerment. Waking gently, sipping herbal tea and winding your way through the gentle country roads arriving in a space of solitude. Receiving the fresh country air as it kisses your skin good morning and hearing the whispers of your spirit saying "thank you" as you roll out your mat. You have arrived. This is your space and your time. You are here for you. In this space, now is the only moment that exists. You are invited to join Angie's Gentle Yoga class each Saturday morning. Gentle yoga is a bridge between moving in flow and resting stationary. A midway, where there is equilibrium and bliss within each pose. Settling into each pose long enough to enjoy its offerings without the need to push yourself. Toxins are gently and naturally released, the benefits being deeply experienced. A feeling of bliss floats over you as you rest within each breath, allowing the body to float mindlessly. Hurry and rush do not live in this space. It is here that the body can fully surrender to gentle relaxation. Surrendering to the body, being present to it, listening for it to tell you when it is prepared to move. Gentle yoga offers the opportunity to equally strengthen and stretch, increasing flexibility and repairing muscles that are in need of your love. Embrace a cup of herbal tea upon completion of class as you wander about selecting your farm fresh produce and other offerings which will nourish you in the week ahead. A few words of importance. Yoga: 8-9 am Please arrive by 7:50 as not to disrupt the class. In respecting your experience no late arrivals will be permitted. Social Time: 9:00-9:30 you're are invited to enjoy an herbal tea and connect with your community as you roll up your mat. PRE-REGISTRATION IS REQUIRED - registration closes at noon each Friday before class. Payment is required at the time of registration E Transfers accepted (please ask about other options) Cancelation of registration for a class - a refund less any banking fees will be provided up until noon the Thursday prior to class. Payment method will be the same in which it was received. ALLOW YOURSELF TO SLIP INTO SIMPLY BEING, TO READ, TO JOURNAL, TO ENJOY MORNING MEDITATION, GROUP YOGA OR TO RETREAT AWAY ON YOUR OWN. GIVING SPACE FOR WHATEVER IS NEEDED. Silence is a place of rest, offering a mirror of our natural state. 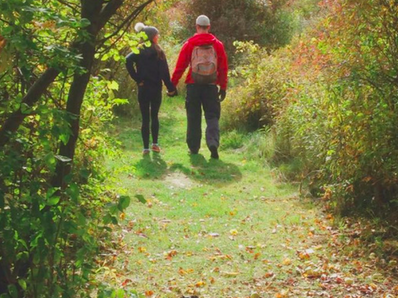 The Silent Whispers Retreat creates a supportive environment allowing you to surrender to the inner silence, creating space to gently and lovingly listen to the whispers of your spirit. Quietness and a lack of distraction is a beautiful path to self-discovery. Silence and unstructured time in nature creates an environment which allows the details of daily life to melt away, revealing the simple peace of our unencumbered being. Silence is the state of the soul. We offer you an opportunity to step into a bubble of silence, of peace and quiet. During your silent retreat you will be among an incredibly intimate group of women. 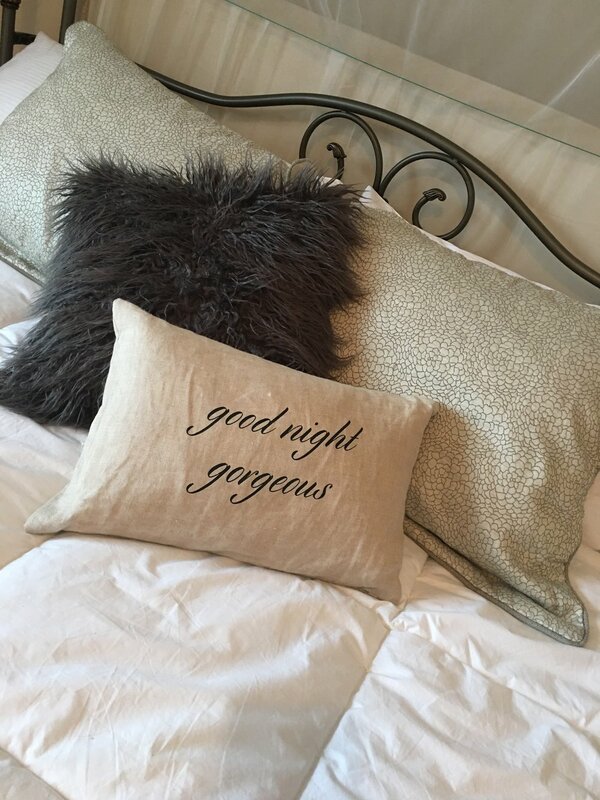 Each retreat is open to only 3 women, you will experience a loving, safe and respectful environment. Each participant enjoying a private queen size room where you can relax, cozy up with a book, write endlessly, view amazing sunsets and sunrises across the meadows, fill your lungs with fresh country air and participate in meditations, yoga, evening fires and organic cuisine. You have this opportunity to step away from the outer world to enter your inner world – that world which has long needed your attention, love and care. A world filled with inner wisdom who's whispers you will soon reconnect with. Morning Rituals, Yoga and Meditation classes are offered in the open air Toga Bale surrounded by the lush gardens and sounds of nature. You are invited to join in our daily morning rituals which begin at 7:30. This is a time that we offer our thanks and gratitude by means of creating daily devotional gifts of beauty. A repeated act of thanks and trust. It’s a lovely beginning to our everyday life, these offerings provide such a beautiful opening to something so much deeper within ourselves. Join us in welcoming each new day. This morning meditation will help you become aware of the sensations of waking within. Mindfully we set our intention for the day ahead. Gentle, relaxing movement with guided meditation wrapped in the arms of nature, listening to it's songs and feeling it's graceful breeze. Our morning yoga class uses gentle yogic postures that almost everyone can do to bring about ease and to nourish our deep connective tissues and energetic meridians. A short guided meditation opens the session, and a longer, guided relaxation ends the session. IS YOUR HEART LONGING FOR A QUIET PLACE OF RENEWAL, REFLECTION AND REJUVENATION? IS YOUR SOUL WISHING TO EXPLORE THE SACRED WILDERNESS, DISCOVERING YOUR TRUE NATURE? We are delighted to share with you our extensive flower and organic vegetable gardens. These gardens are a part of our farm program and feed local families. You will also enjoy tea & herb gardens as well as quaint meditation gardens. Meals feature seasonal foods prepared with ingredients raised here on our farm. in profound peace and silence. Your Investment $400.00 includes full program, all meals, lodging. Please submit any questions or your desire to join by submitting the form below. Journey through the quiet paths of the woods and fields, enjoy evening campfires, wander through the gardens and rest in the quietude of uninterrupted time in the nature. 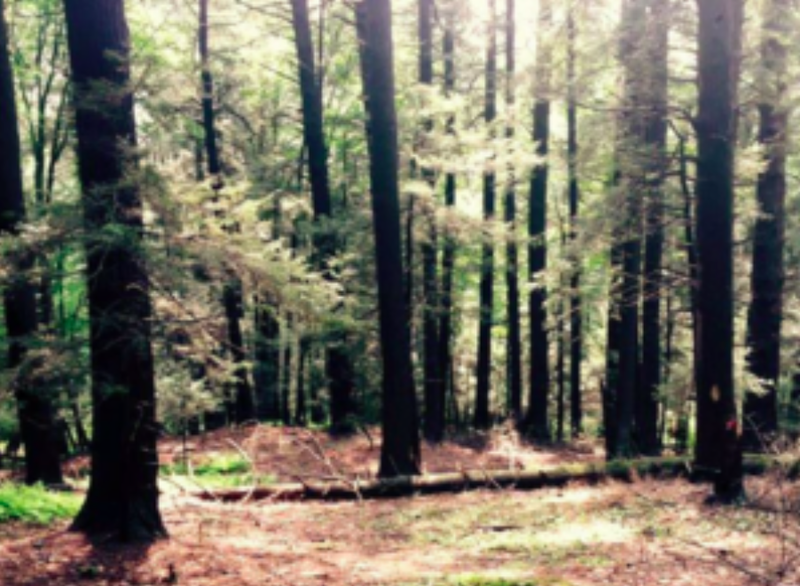 As you step into the forest embodying its aliveness your senses become awakened. Its alchemy offers a deepened connection to not only self, but to all things. Experience your heart opening with appreciation and love for the power of nature. Mind and body come into a deep stillness and peace while cultivating mindfulness, practicing the inner art of meditation. As awareness grows, the natural world illuminates the the truth of your heart. Within the forest we can transform our lives and discover our true nature. Embracing the quiet teachings coming from the natural world, we sit with mindful presence. Here we cultivate a simple yet profound quality of mindful awareness. This quality of presence allows us to listen deeply to ourselves and our environment, opening us to joy, receptivity, and an appreciative heart. Do you desire a quiet place for renewal, reflection and rejuvenation? The sacred forest provides just this. Capturing and creating expressions of nature, allowing for complete presence within. This is one of the divine gifts that an afternoon of nature photography provides. There is a stillness and calm within the forest which will penetrate your being should you be wiling to accept its calling. As you quietly meander down the forest paths, choosing the one that is whispering your name, trust as the forest guides you. Your mind becomes still as the outer world melts away and sinking deeper into self with each guided step. Finding yourself inspired by the quietness within, you find yourself a cozy space on the forest floor to sit and allow the words to flow.